All writers wrangle with plot bunnies at one time or another Like real rabbits plot bunnies can appear at any moment and have a tendency to breed prolifically if not kept under tight control. From time to time even my plot bunnies manage to escape their hutches and force me to chase them down. This plot bunny would not be caught until I put finger to keyboard. My hope now is to build this out into a full short to go with my One’s Place teaser. Comments welcome. His head snapped back as she drove her palm up under his chin before he doubled over. She’d slammed her other fist into his gut. Nose stepped forward only to be driven into the wall by the foot she planted in his chest. Before Scarface could even bring his knife up she’d snapped his weapon arm behind his back and had the blade at his neck. She did something to pull Scarface off balance. He let out a yell as a loud snap came from the knee she’d side kicked. Nose had come off the wall but before he could close she had taken his out stretched arm, dropped to her knee, and thrown him over his shoulder to crash through the coffee table. My last interview in this series is a busy man. It took more than a little wrangling courtesy of Miss Whittager to get a few minutes chasing after him as he refused to slow down. A little incident somewhere around a year ago reminded me of how vulnerable my nearest loved ones can become if I let my guard down. I have to lose too much valuable time sleeping. That’s a hard one. In my line of work you expect all kinds of underhanded dealings around every corner. I almost deplore honest people because they present no challenge. The Merchant Lord Spaeker. Now there’s a man with a mind for business. The Merchant Lord Amberoon. So many toys and so little ambition. That’s easy. In the middle of a tough negotiation. There’s this one lady, a so-so trader, but one of the finest engineers I have ever seen. Those were the only things she would ever agree to do for me. Here I am, president of one of Uitnep’s fastest growing corps without the benefit of any Merchant Lord patronage. There is a core of people who will stand with me during even the bleakest of times. Visit my Published Works page to find stories involving this character. It took some digging, but I succeeded in tracking down a bar frequented by my latest interview. Her language is, to put it mildly, a little flowery, so the answers below have been a wee bit edited in accordance to my Clean Reads policy. Discovering all the bars are closed after getting off a long shift. Er. Not the answer you were looking for? Not being able to wait until no one is looking before flattening an overly annoying person? You should patent that look. An inability to match me drink for drink. Okay, seriously, if you’re going to be that way, double minded people who don’t know what loyalty is. You may have trouble believing this, after all he is neither from Merchant Lord stock or supported by any major merchant consortium, but my boss. Not the little guys I have to answer to on a day to day basis, the big man, Carryl Runderfiord. I mean, look what he has build without the benefit of all those aforementioned connections. I have to name just one? You may want to move onto another question. In spite of our present surroundings, I’m really the happiest when I’m elbow deep in a tricky engineering problem. Machines don’t make unreasoned demands on your time and attention. I’m told I need to cultivate a modicum of self control. Refer back to my comment about waiting before flooring an, um, annoying person. Surely you see this jagged scar above my right eyebrow. You’ve been glancing at it often enough. There’s quite the story, but I don’t think you’re up to it. They don’t give me that look when my language gets a little, shall we say, colourful. I’m where I want to be, doing what I want to do. Well, my glass is empty. I was told Elder Roggi Exavent is too busy to speak to the likes of me. He offered me a cup of tea and all the time I needed. I’ve lived so long and seen so much that it’s hard to talk in terms of a greatest fear, but there is one matter, steps I’ve taken. I know I’ve done the right thing, but there’s a shadow over my prayers that haunts me when things are quiet. This has changed many times over the decades, but more and more I deplore the way I have coddled my grandson Nivpul when even his father has implored me push him more to break out of his shell, socially speaking. The rigid adherence to religious doctrine among my peers when scripture drives us to be so much more. You’ve caught me there. I admire how well my son Peaul has done since that fateful day the Loabaycle was lost with all hands aboard, including my sweetest Ssilsnia and all five of Peauls siblings. I lost so many years after the news, years spent alternatively smothering and ignoring my son’s very real needs. That being said, I also admire my grandson Nivpul. So much like me in my early years before Ssilsnia came along. Maybe too much given he has yet to meet his Ssilsnia. The current Duke of Argodr. His father and grandfather were dangerous to be sure, but the present Duke, his ego and his avarice, surpasses that of any Noble I have ever had to mispleasure of dealing with. The day my dear departed Ssilsnia cornered me into courting her affection. We had so many happy years together before the tragedy. To be honest. I am what the years have made me, there is little worth changing this late in life. Marked characteristic? That has to be my refusal to limit myself to the rigid patterns practiced by most of the devoit aboard Motherload when asked to pray in public. As if I allow such rigidity to restrict me in private. Really, the fact that they are my friends. Once you’ve risen to my status as an Honoured Elder it is easy to surround yourself with status climbers or to spend too much time easing the status climb of your children. Sigh. Even so many decades later I find myself torn by that question. Do I regret not clearing my calendar so I could be with my family when the Loabaycle was lost. Or regret letting Ssilsnia take the rest of the family ahead while Peaul stayed behind with me for the father to son talk. After much diplomacy I have succeeded in getting a few moments to ask the second most important character in my Worlds Together series a few questions. As with my interview with Nivpul Exavent, this took place shortly before the events in Synergy Of Hopes. Given the conditions under which we talked her short replies may be more than I could have hoped for. Being rejected by the Samafm ambassadors Carlos and Uno Yondu. The way I let pride get in the way of common sense. Inconsistent people throwing wrenches into well planned operations. The Samafm Ambassadors at large, Carlos and Uno Yondu. They see something in me nobody else can see. A certain Guard Fleet officer who wouldn’t let it go. When I’m free to distract myself in the pursuit of certain private research projects. I would erase the memory of things I’ve been forced to do. The way I can terrify with a look. The love that binds them whatever the stresses they face. Not swallowing my pride when the opportunity arose to return home after my discharge from Guard Fleet. I caught up to the main character in my Worlds Together series shortly before the events in Synergy Of Hopes could take place and asked him the following questions. His answers were a little terse, but I’ll take what I can get. Never finding a love like the one my Grandfather knew before the too soon loss of my Grandmother SSilsnia. The way I freeze when asked to speak up in public. My Grandfather Roggi. No one has had to overcome more pain to fullfill his dreams. Duke Argodr. His ego is nothing but trouble to everyone who has to deal with his people. Working with my Grandfather Roggi making the Konhor project a success. I’d learn how to speak to a girl who catches my eye rather than pulling into myself. People who do what they said they would do. Not forming any lasting relationships during my time as a Cadet in the League Star Academy. 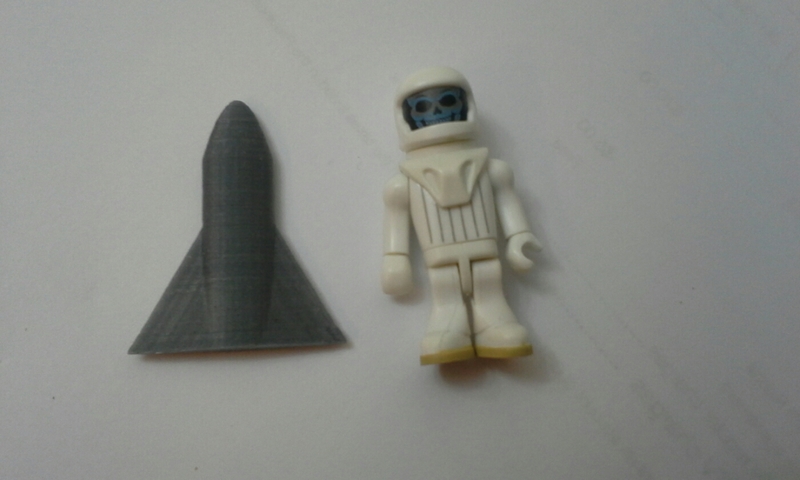 My last post, Into The Land Of 3D Computing, details my first foray into the world of 3D computing and 3D printing. I have since rescaled my model and produced a demo sized model in a medium I can polish to perfection. 3dhubs came through again. The esteemed fantasy writer of The Imago Chronicles and The Dream Merchant Saga, Lorna Suzuki, has interviewed me on her All Kinds Of Writing site. Check it out. Then look at my Events Page for information on future appearances and links to past activities. 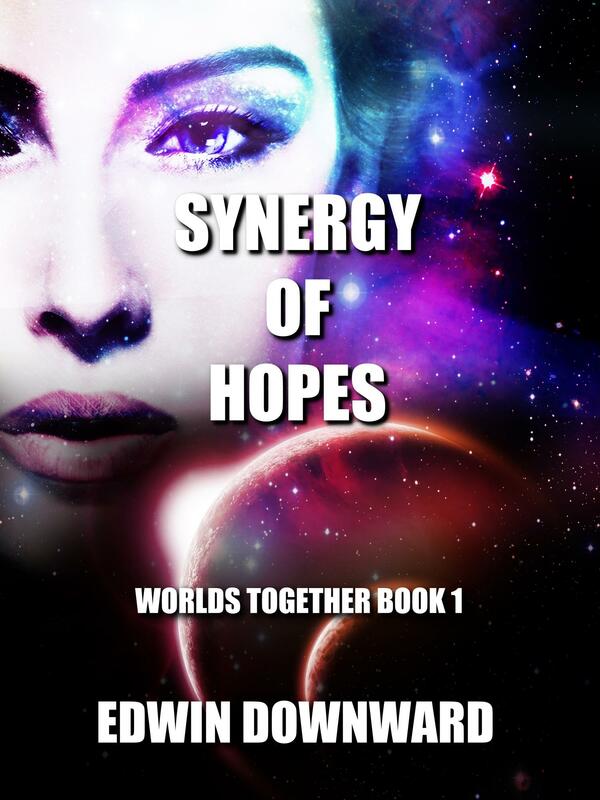 Synergy Of Hopes is now available for purchase at all the major ebook stores. See my new Published Works tab for details and links. You are currently browsing the archives for the Synergy of Hopes category.